This Saturday, the Final Four will square off, leading to the NCAA Basketball Championship game on Monday. All eyes will be glued on the big games, and history will be made. 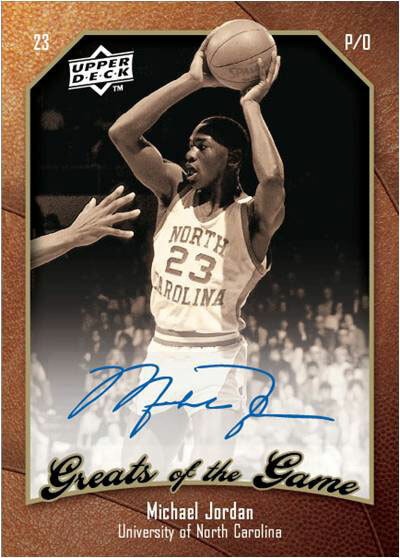 Following that, on Tuesday, Greats of the Game Basketball will hit store shelves. Out of every major sport in America, basketball is definitely the one where “Old School is Cool” rings true. There’s a special nostalgia attached to the game’s meteoric rise in the 70s, 80s and 90s, and the stars from that era are still beloved today (of course, modern players like LeBron carry on that tradition). Following the big NCAA tournament, there’s no better way to bring together the past and present than looking back on the college careers of the legends in the sport. Being an officially licensed CLC product, you can pull a Jordan in his UNC colors, or Larry Legend representing Indiana State. On average, every box has two autographs and one memorabilia card, giving the product plenty of hits to get excited about. 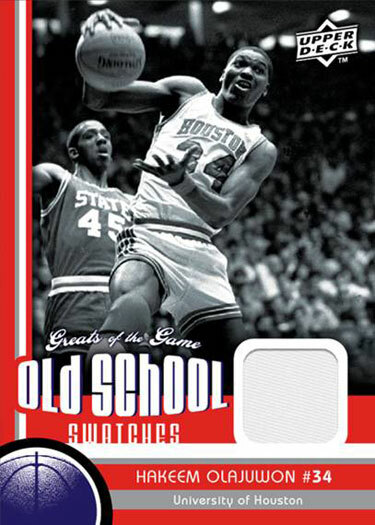 Click here for more information on Greats of the Game Basketball, and be sure to brag about your big pulls on our Facebook page!